The job required more than drinking coffee and talking, but Matt Dunn figured that was a good place to start. 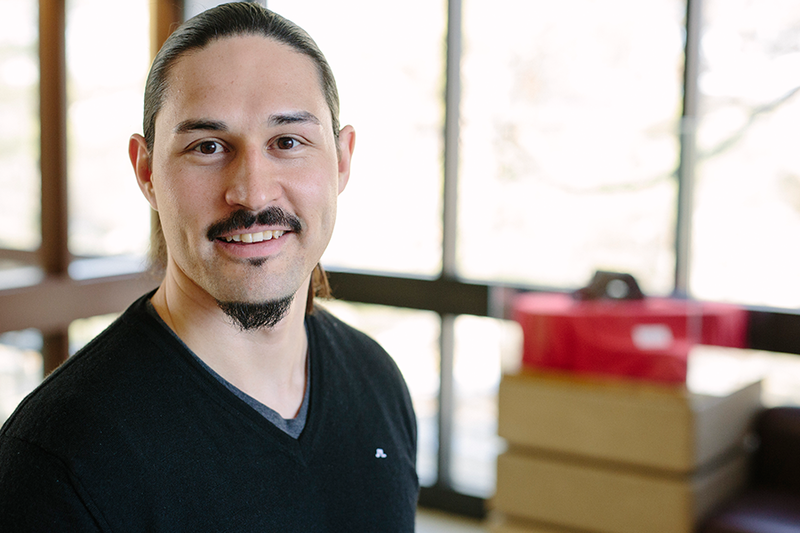 "I had lots of coffee meetings with people in the college, on campus, and with companies and organizations off campus," said Dunn, the Indigenous Peoples' initiatives co-ordinator in the College of Engineering. "I had to talk to a lot people to determine barriers and potential solutions to Indigenous students graduating." That is Dunn's ultimate goal, to increase the number of Indigenous graduates and ensure those graduates find rewarding careers. "Another big part is looking at community engagement and partnering with Indigenous communities to solve practical needs and provide engineering outreach," he explained. Dunn and the college took an important step toward reaching those goals with the recent launch of the Indigenous Peoples Industry Partnership Program (IPIPP). IPIPP, Dunn explained, looks to set up Indigenous students with summer employ­ment and financial support for tuition. The program was first piloted in summer 2015. Because of a previous rela­tionship Dunn had with Potash­Corp (PCS)—he worked there for two-and-a-half years—he knew exactly who to contact to help bring the company on as the first industry partner supporting the program. "PCS understands the value of a diverse workforce," said Dunn, who received his bachelor and master's degrees in mechan­ical engineering at the U of S. "They saw this as an opportunity to support and retain Indigenous students and help them gain practical work experience." Students who receive support from IPIPP can also "focus solely on school work and not worry about looking for a summer job or working a job during school." As part of the pilot program, two students—Cole Unruh and Rowan Spetz—worked for PCS this past summer. The pilot was a success, said Dunn, and going forward, PCS will have work placements for three students and provide each with up to $5,000 and wages for place­ments. "The partnership is an excellent way to support students—not only financially, but by providing an opportunity to gain direct experience," said Spetz, a fourth-year civil engi­neering student from Martens­ville who is set to work with the company again this year. Additionally, Dunn said the program provides industry partners with the opportu­nity to "develop relationships, and provide mentorship and training to students who can then become employees and hit the ground running." With 60 students self-de­clared as Indigenous in the College of Engineering, Dunn said this program is an excellent first step to improving on that number, but added that more programs and supports are still needed. "This is an important support for career development, but we still need academic supports to ensure success, cultural supports so that students don't feel they have to leave their culture at the door, and leadership and peer mentorship programming."